Elissa Purdy and Bobby Hatala – Congratulations guys! From your meeting on that 100F day in Blacksburg about 4ish years ago to now, your love story has been unfolding in a beautiful way! Rumor has it, Bobby had his eye on this lovely, smart, kind, intelligent, fun young lady for LONG before he worked up the nerve to ask her out. But there was rarely any time on the VT campus where you would not find the two together. A couple of must-do’s for them – Attending Church regularly every Sunday and almost as important, watching football! Bobby had a great proposal planned which included her family’s help and 6 months of planning… And did you see her ring? (a-maz-ing!). Everyone in the wedding party recalled how Bobby and Elissa compliment each other and demonstrate loyalty and kindness in the little things- like how Elissa makes Bobby a sandwich or how Bobby goes shopping with Elissa. These little acts of kindness lay the foundation for a solid relationship. In a heart to heart with the bride’s sister, (naturally a little bit protective of her “little” sister), Bobby vowed not to hurt Elissa and confessed that he had plans of marrying her… and the rest truly is history! True to his promise, Bobby proposed over Christmas at the Marine band Christmas Concert with full support of the bride’s family. We all got to witness the exchange of vows and the love that this couple shares last weekend 12/29/2019 at Saint Peters Church DCS and the reception followed at the National Press Club. There were so many special moments that I got to photograph on Elissa and Bobby’s wedding day. But one of my favorite aspects of the wedding was capturing the joy of the family who shared in a legacy of loyalty and service. There were many family members with a military connection and that is something near and dear to my heart. 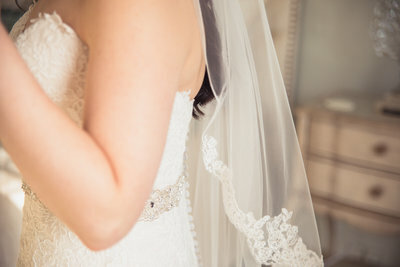 Learning about the bride’s antique 1800’s veil and capturing some of those special details was so meaningful to me. 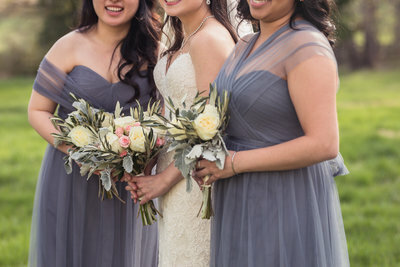 Blending in and with gentle guidance, it was amazing to capture mom’s sheer joy, dad’s pride, sister’s wedding support-cooperation, the groomsmen’s ability to laugh, and the bridesmaids who were just so lovely and fun to get to know. The day truly goes so fast and it’s important to me to capture a variety feelings and perspectives – as the couple, the family, the friends… Everyone joins in this sacred moment to uphold and elevate the glorious love the couple shares. Sisters gain a brother, mothers gain an additional daughter and dads gain a handy son who can bail them out if/when the car breaks down at the the VET. 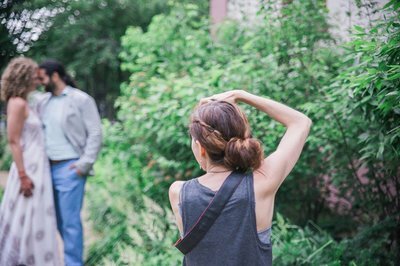 Thank you for entrusting me with you wedding day photos. I enjoyed getting to know you and following along the culmination of your wedding story! Your love is as sacred as the church which welcomed you. Your blessings include an incredible family rallying around you and cheering you on, friends who are grateful to see your relationship bloom from day one to the present and beyond… I hope that all your dreams come true! Moving to the City, enjoying all the new restaurants and exploring fun hangouts with friends. Looking forward to staying in touch with you and cheering you both on! p.s. Stay tuned for additional FILM images to be added to the blog!